Pace, precision and poise. Roger Federer was at his ruthless best on Saturday at the Swiss Indoors Basel, turning in a vintage performance to reach the final once again on home soil. The Swiss exhibited a display of stunning aggression against third seed David Goffin, barely putting a wrong foot throughout their 60-minute semi-final encounter. He would blitz the Belgian 6-1, 6-2, firing 20 winners in total, including 12 on his forehand wing and will face Juan Martin del Potro in the final. "I'm ready for a difficult match and a fully fit del Potro," said Federer. "He played a great match against me in Shanghai semifinal and went on to win Stockholm. Now he's here in the final again. I think he's ok. He might be tired, but he doesn't have issues that would keep him away from the court." Federer stood tall on the baseline and refused to allow Goffin to find any rhythm, firing his forehand with alacrity and using his first serve to send a message under the lights at the St. Jakobshalle. The Swiss would take the opener 6-1 - the third time he has done so this week - with a winner off a forehand approach, and he immediately pounced as the second set got underway. A hyper-aggressive Federer forced a forehand error from Goffin, stealing a break in the first game. He would claim an insurance break with an overhead smash for 5-2 and closed out the victory a game later. 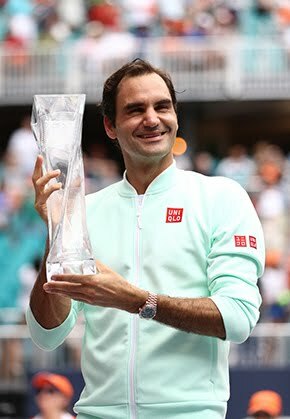 Federer captured 91 per cent (21 of 23) of points on his first serve during the one-hour affair, improving to 11-1 against fellow Top 10 opponents this year. 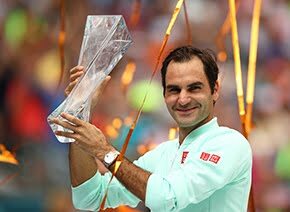 In dropping just three games, it marks his most dominant victory over a Top 10 player since defeating Andy Murray 6-0, 6-1 at the 2014 ATP Finals. 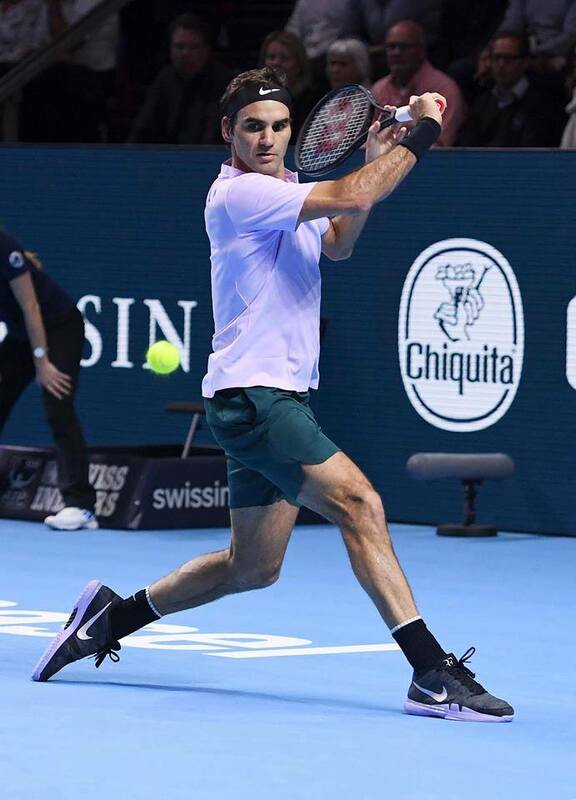 Seeking an unprecedented eighth Basel crown, Federer will next face longtime rival Del Potro on Sunday. He leads the ATP Head to Head series 17-6, with their two most recent meetings lighting up the highlight reel. Del Potro prevailed in four sets in the US Open quarter-finals, with Federer exacting revenge earlier this month at the Shanghai Rolex Masters. Federer will feature in his eigth final of the season, looking to extend a 6-1 record. He is riding a nine-match win streak since falling to del Potro in New York, coming off a second title run in Shanghai. The World No. 2 is still in contention for the year-end No. 1 position. He trails Rafael Nadal by 1,660 points in the ATP Race To London and would need to win the title in Basel and also lift the trophy at both the Rolex Paris Masters and ATP Finals. Del Potro fought off fatigue to win a battle of former champions 6-4, 6-4 over second seed Marin Cilic. "I'm surprised and happy to be in the final, it's my fourth week in a row after many years," Del Potro said. "My body is still there. I'm doing well, but in the final, anything can happen. I need to play better against Roger than I did today. "I'm tired and that is a little bit of a factor, but the only way to play Roger is to be aggressive all the time. Sometimes, even that is not enough to beat him. "Not many players can beat Roger, the greatest in history. For me it's going to be a great challenge and also a great pleasure to play against him again in his hometown. It will be a great atmosphere, and I will enjoy it a lot." If Del Potro can earn his third Basel title (2012, 2013) on Sunday, he will pass Pablo Carreno Busta, who currently occupies the final spot, in the Race to London.